ANOTHER mysterious black ring has appeared in the sky over Britain, exciting alien hunters across the globe. What is this terrifying black ring FLOATING over Yorkshire? 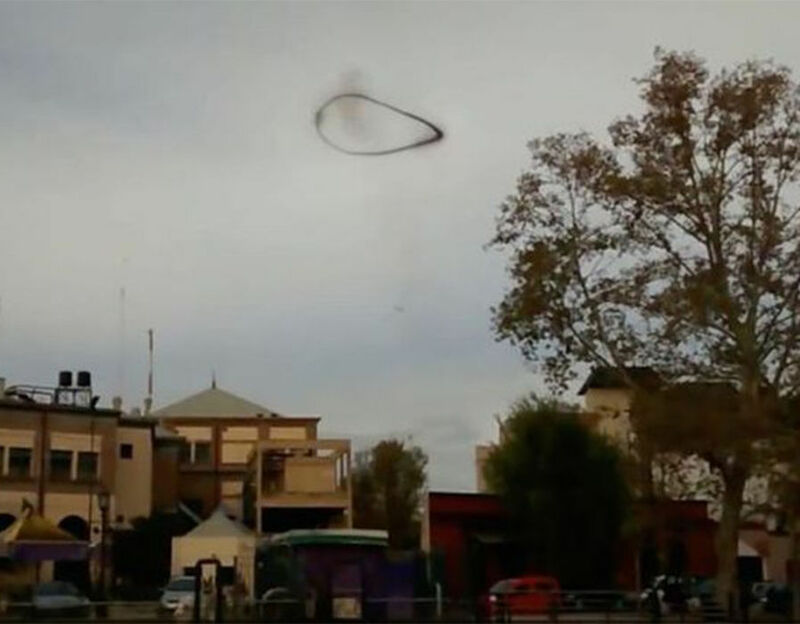 The black ring phenomenon has been captured with increasing regularity, baffling experts and prompting UFO enthusiasts to cite alien activity or even a portal to another dimension. And while those claims may be beyond the pale for many even the experts at the Met Office have no more concrete explanation. 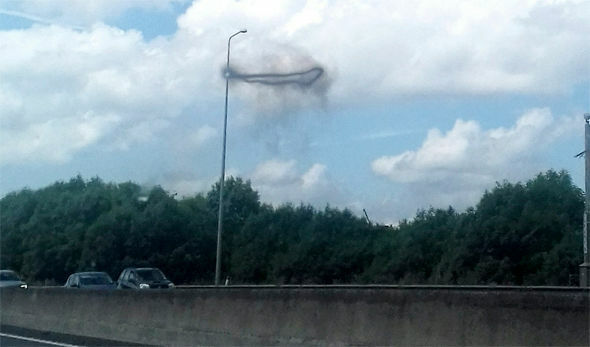 The latest sighting took place in Birkenshaw, West Yorkshire, and the strange circle seems to resemble a giant smoke ring – but there seems no possible source and local fire services say that there were no reports of blazes on the day of the incident on Sunday, July 9. 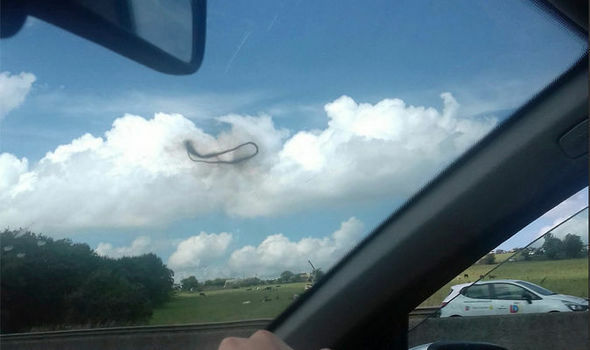 The image was taken by 22-year old Kimberly Robinson, who said: “Me and my boyfriend were driving … and noticed a black flying ring in the sky. “It looked a bit smoky but the shape was a solid ring. “We hadn’t ever seen anything like this before. A spokesperson for the Met Office confirmed that they do not believe that it is a natural phenomenon. They said: “We have had a look at it and cannot think of anything metrological that would have caused such a phenomenon. A high level Express investigation has revealed that the black ring was actually down to a World War II battle re-enactment that took place in the area that day. Sarah Clarke, an organiser for the Yorkshire Wartime Experience, told Express.co.uk that the ring is actually a plume of smoke from the pyrotechnics of the battle reenactment. But, the war re-enactment does not explain similar rings which have appeared over the UK and across the world.